My name is Angelica, but I am known as Angie. I have been sewing since I was 16 years old. My mother and grandmother both sewed and taught me as a young child the right way to sew. When I was 16, I started making my own clothes and then at 19 I started in an alteration place near my home. From 16 to 19 I went to school to learn how to make patterns and compose an outfit from scratch. 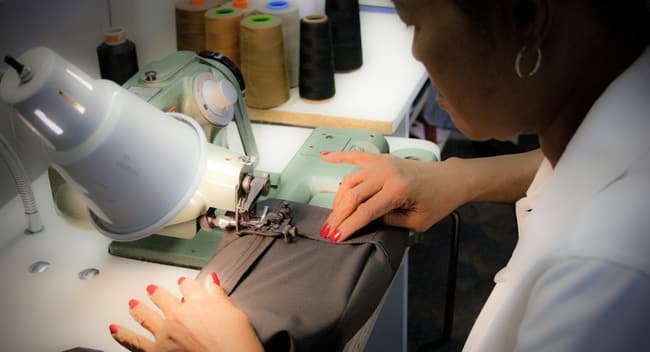 I started working for Village East Cleaners 5 years ago in the alteration department. I enjoy my job very much because I meet a lot of interesting people and am given many challenges. 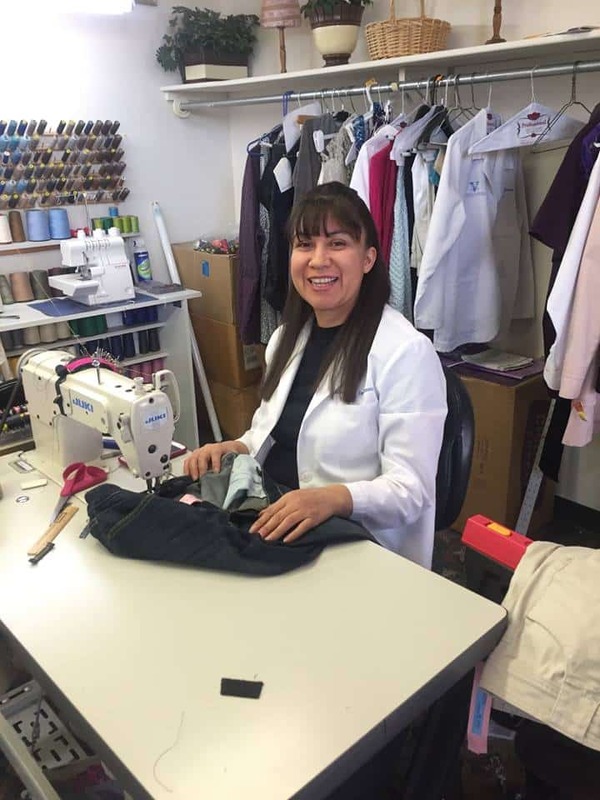 It is wonderful to fix a garment for a customer and to see that it fits perfect and to see their happy face when they try it on when I am done. No job is too big or too small and each job gets my attention to all details. I stand behind what I do and am proud to have it look perfect for my customers. Hi, my name is Mary, I have been sewing for 35 years. I fell in love with sewing in the 7th grade. I enjoy working with the customers and making them happy. I especially enjoy work with the brides and helping them with their special day. 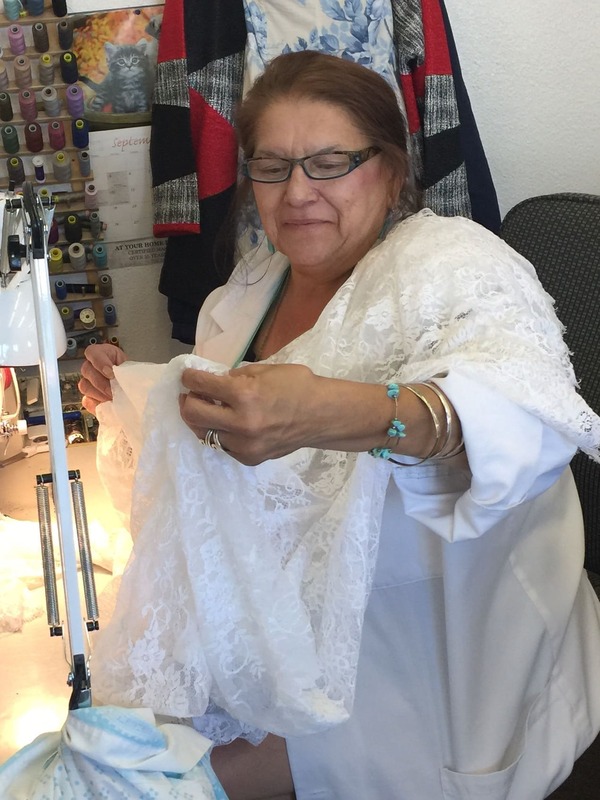 I have been with Village East Cleaners / Las Vegas Wedding Gown Specialists for 13 years. I have sewn for local and international celebrities such as Mary Wilson (Surpremes), David Copperfield, Bobby Brooks, and Mike Hammer. As well as famous athletes such as Jason Giambi. I recently worked on “Say Yes to the Dress U.K.), which I really enjoyed.